Arrival of a new baby is a greatest blessing! There is so much joy for new parents, grandparents, siblings, friends and family no matter if it’s a boy or if it’s a girl. Welcome this new life with freshly arranged flowers and colorful baby gifts, add a stuffed animal or balloon. Let them feel special! 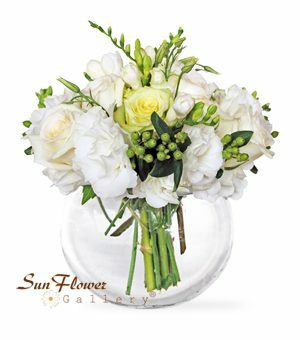 The flowers will always arrive in a vase or a special baby container, in any size, shape or color and in any price range. Our hand-arranged and hand- delivered bouquets will make special arrival of the new baby even more pleasurable! Celebrate life with our hand- arranged and hand delivered stylish bouquets.